Mr. Loadlink launches a stinging attack on trade show exhibitors that pack up early, questions Twitter’s motives for dumbing down the social media platform, and more. Do you know what noise I hate more than someone scraping his or her fingernails down a chalkboard? It’s the sound of an exhibitor at a conference or exhibition tearing down their stand before the event has finished. The chalkboard trick merely sets my teeth on edge and has me clasping my hands over my ears. The clamour of a premature expo breakdown, meanwhile, does all that, in addition to sending my pulse racing, blood pressure soaring, and turning my face bright red with rage. I look like a beetroot at a farmers’ market. Anyone who attends, organises or displays wares at events will know what I’m talking about. Whether the show finishes at 3, 4 or 5 o’clock, there is always someone who starts ripping their stand apart ahead of time. It’s like dominoes; once one exhibitor has started pulling posters off walls or boxing up their products, someone else follows and pretty soon everyone’s either joined in or at least had their focus interrupted. Some are shameless and turn their backs on attendees to pull graphics off aluminium displays and sweep the giveaways off the counter. Others are subtler; they side step to a corner and slowly begin arranging things for easy access. The trouble is they’re not half as surreptitious as they think they are. Once the attention has been diverted from the aisles and the delegation, the game is over. There’s no selling a widget at that point. The worst noise of all is popup banners whistling back into their cases. They make a terrible whooshing sound as the canvas recoils before thwacking into their final position with a big crash. 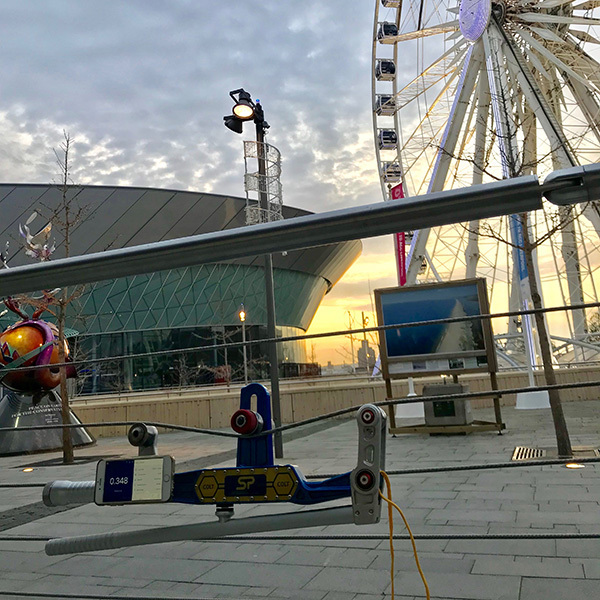 Some exhibitors have the care to grip the top of the banner as it descends, which reduces the noise pollution, while others let it whizz down on its own, picking up such speed as it goes that the base is jolted on the carpet. The strange thing is, the hubbub of expo setup is altogether different. It doesn’t irk me in the slightest. In fact, the unfurling of stand displays is almost satisfying. 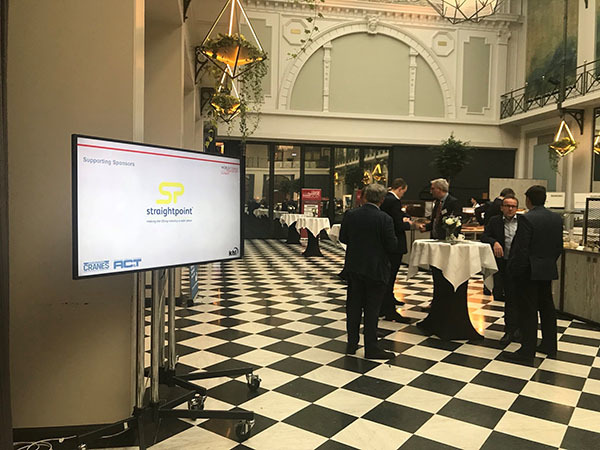 It’s exhilarating to see a hotel lobby or exhibition hall come to life as an industry’s suppliers prepare to engage the marketplace’s buying decision makers. I think it’s the anticipation of it all. Even the beeping of a lift truck delivering a pallet of shackles to a nearby stand is rhythmical. The tightening of screws and the uncurling of a literature stand all add to the anticipation. It’s remarkable, therefore, that people can’t hold onto this sense of purpose for the duration of an event. Working an exhibit is tough but it’s so important to stick them out until the end. 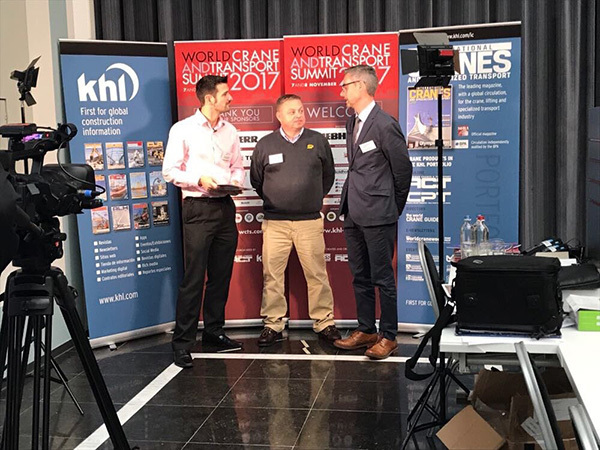 Take the recent World Crane and Transport Summit, for example, which was expertly hosted by the KHL media company in Amsterdam. We were among an assortment of exhibitors keen to engage a high level audience of crane thought leaders and influencers. 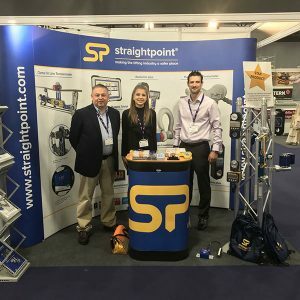 The event concluded, say, mid-afternoon on a Wednesday and, despite an already early scheduled finish, several fellow exhibitors were keen to pinch an extra half-hour. The same people who’d paid such attention to detail during setup to make sure everything looked perfect, and photographed their exhibits to send proof back to the office, were now prepared to dismantle them as delegates continued to roam the charming Grand Hotel Krasnapolsky with coffee in hand, equally thirsty for information about their product range. 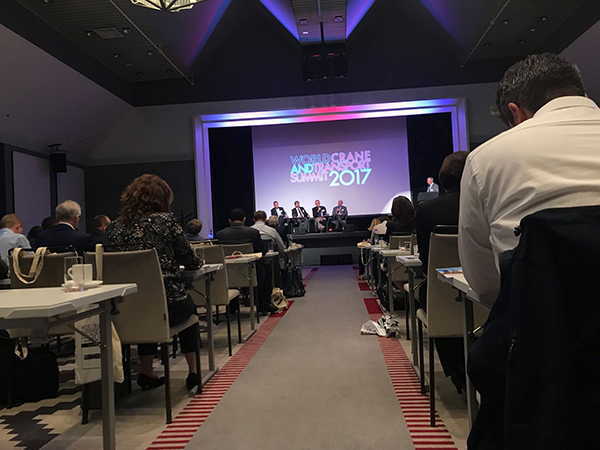 We were among sponsors at the World Crane and Transport Summit. David Mullard, our business development manager, and I felt like the band on the Titanic, defiantly playing as the ship plummeted to the icy depths. Little did we mind as the boss of one of the world’s largest specialised hauling, heavy lifting and hoisting companies danced to our merry tune. 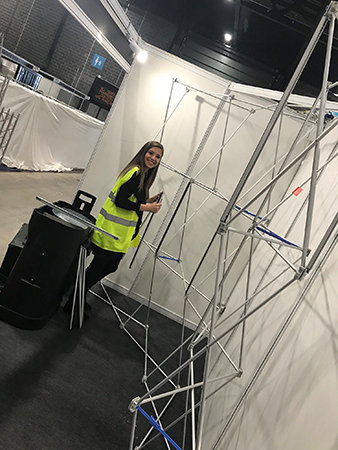 As the exhibition area fell to ruins around us, we were building one of our strongest connections of the event. And it wasn’t even teatime. I accept that there are occasions when people need to get to airports to catch international flights, or family members are playing important sports matches or appearing in school events. But in the main, those guilty of the sins outlined above are failing to honour protocol and show respect for their fellow professionals, just to get to the airport early or check their emails. Unless it’s really important, no travel itinerary should be booked if it means the team on the stand have to leave before the final attendee has been dragged from the floor. If the last plane home leaves at 5pm but you might need to stay at the show until 4:30pm, arrange a networking dinner and travel the next day. Once again, the summit proved the value of short exhibition sessions, punctuated by periods of world-class content and seminars. I’ve blogged before about the happy marriage between a tabletop expo and conference, and the benefits were again there for all to see—particularly for those of us who toughed it out until the end. It’s worth singling out Hendrik Sarens, owner and director at crane and engineered transport giant Sarens, for praise; he delivered an engaging keynote about his life in the industry that resonated with all who listened. 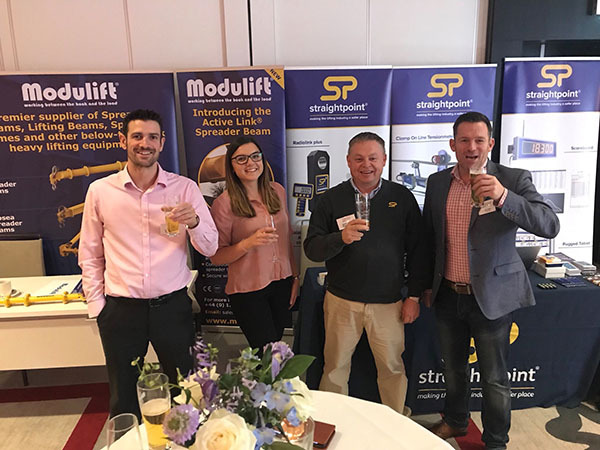 Here we are with Modulift’s Lucy Brooker and John Baker at the World Crane and Transport Summit. The Speedy Expo, which took place a week earlier, was uplifting too, where, Zoe Silk, inside sales and hire, made her SP trade show debut. I wonder how much we can improve the culture of exhibitors by better mentoring the next generation of stand professionals. We’re committed to a record number of events next year and, as live interaction continues to reap rewards, it’s likely that other companies will do similar. But how many are really giving this costly, time consuming, exhausting, risky activity the attention it needs? I didn’t present Zoe with The Perfect Trade Show Host manual on the train to Liverpool but needless to say I gave her the benefit of my experience. I explained why we don’t have seats on the exhibit and why eating is prohibited. Zoe understood already about the importance of greeting people, exchanging information, distributing catalogues—and staying until the end! It’s not rocket science, and even on her first event, Zoe was a great SP ambassador, yet I fear others taking their first steps into the exhibition environment don’t have the right tuition or grounding. It’s simply not ok to approach an attendee with a mouthful of sandwich or turn one’s back on the aisles to take a phone call. If KHL deserved credit for their show, Speedy should get a gold star as well. The organisation, hospitality and extent to which it harnessed the power of modern technology—the event had its own app—were exceptional. It was good to meet Russell Down, Speedy’s chief executive, and discover a mutual Portsmouth connection, while colour-coded lanyards facilitated other networking opportunities with staff, suppliers and customers alike. The team has taken to demonstrating ease of setup of our COLT product in a variety of ways. Here it is before a setting Liverpool sun. Later this month, arguably the most important LiftEx in recent years takes place at The International Centre Telford on 29-30 November. 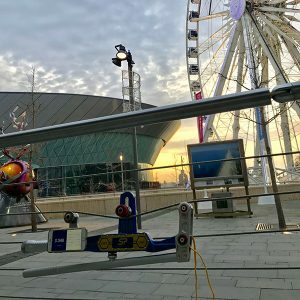 The expo is the showpiece of organising trade association, LEEA, and co-locates with its all-important AGM, dinner dance, conference and more. It is always the subject of debate, in the main surrounding its size, location, frequency, demographic, format, etc. This time there is an even stronger undercurrent with a number of key issues likely to dominate the annual meeting and other exchanges. With industry stalwart Geoff Holden, the association’s recently retired CEO, being a tough act to follow, it’s going to be fascinating to get an update on the recruitment process and hear about LEEA’s plans for the short and long-term future. With the AGM moved to the first morning and the dinner dance slated for that night, I anticipate that a new-look format will lead to better attendance of peripheral events, which is important if the association is to continue to be an exemplar for all those involved in the lifting industry worldwide. Frankly, to retain that status, certain rumours and uncertainty need to be put to bed and the AGM presents a perfect opportunity, with the industry’s protagonists in one place, to set the record straight. I hope the hierarchy are prepared to confront these issues head-on so LEEA can move forwards without the burden of speculation. On the morning of 29 November, members, end users and industry stakeholders alike have a right to expect some long-awaited clarity. I hope exhibitors do their bit by staffing exhibits in an equally exemplary fashion. Beyond the obvious, it’s crucial that we don’t put all our eggs in the day one basket. It’s a front-loaded event, as outlined above, but there might be a purchasing colossus walking the aisles at 3pm on Thursday afternoon, who is only going to call upon those still wearing their game faces. Think about it: would you interrupt someone in full breakdown mode and offer to buy his or her kit? Our combined exhibit with Modulift and Crosby will be among those ready to accept 11th-hour opportunities. The #LiftEx17 hashtag is already making waves on social media, most notably on Twitter. But I don’t think the show, or the platform generally, will be enhanced by a decision to double the character limit to 280. Essentially, a Tweet can now be a paragraph, which even belies its very name. The brand is known for the iconic, tweeting bird, called Larry, capturing the platform’s supposed ethos to give users a small space to share a concise comment. The change has already paved the way for cut and paste fanatics to post great swathes of their website content. It might grow on me but it feels like the brevity, fun and skill in posting a Tweet has been lost. What do you think? That’s all for this month but look out for announcements soon about two new SP recruits! Social Media and Hashtags: Trick or Treat?